Videos are the future of content marketing. While a video can be shared online easily, brands can take advantage of QR Codes to generate traffic from print media as well. A simple Youtube QR Code will do the trick. Why should I create a Youtube QR Code? 1. 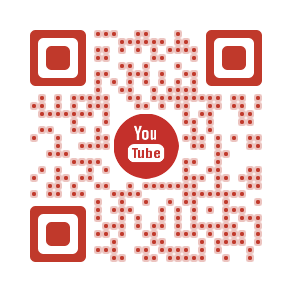 Go to Youtube QR Code Generator. 3. After adding the link, click on Create my QR Code. 4. Your QR Code has been generated. A Choose Design and Download page will open and give you a choice of three QR Code designs. Select the preferred design option and click on Download. Note that you will need to sign up for a free trial account before the QR Code downloads. An account will help you save your QR Code and let you track number of scans. 5. In case you would like to edit the design of the QR Code, click on Customize. Edit the design using the design options and then click on Download. 6. To edit the target Youtube video URL or the design of this QR Code, find the QR Code in the Campaign Manager (from the side-bar on the left) under the Default Campaign. Note that you should log into your account.